Detail of Resistance Reverb: Movements 1 & 2, on view at the di Rosa Center for Contemporary Art. 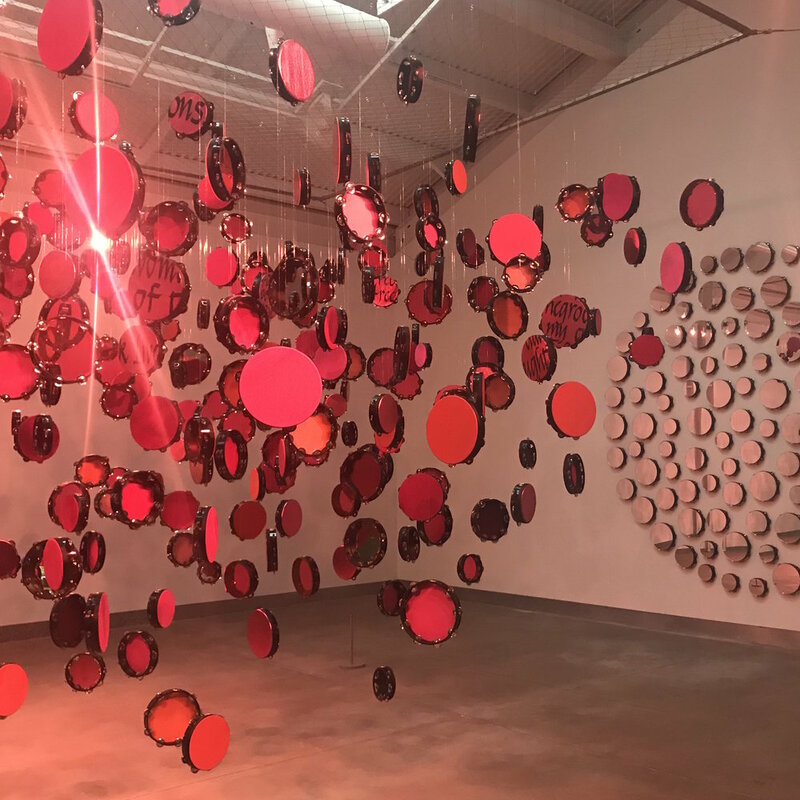 Please join me for the opening reception of "Be Not Still: Living in Uncertain Times" Part 2, at the di Rosa Center for Contemporary Art on Saturday, June 30th. The two part exhibition addresses concerns of our present social and political moment through newly commissioned works of art that engage audiences in ideas that matter. Other artists in the exhibition are Lexa Walsh, Ranu Mukherjee, and Victor Cartagena. RSVP on Facebook and read the press release here.